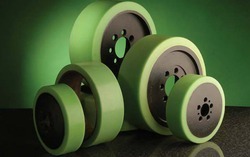 Leading Manufacturer of polyurethane rollers and pu rollers from Gurgaon. 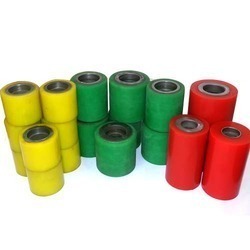 Engaged as a manufacturer, we are engaged in offering Polyurethane Rollers. These polyurethane rollers are designed and developed in adherence to the guidelines laid in the industry to attain highest benchmarks of quality. Further, to suit the variegated demands of customers, we offer these rollers in different specifications as per the clients requirement. Fulfilling our client needs for the best quality products, we offer comprehensive range of Automotive Plastic Components. These are manufactured with utmost precision and attention to details so that the most desired product can easily be supplied to the client. We make use of good quality of raw material in the production of our acclaimed gamut which is attained from trusted vendors. The raw material includes like natural rubber, neoprene rubber, silicon rubber, EPDM rubber, vitone rubber and SBR rubber. By offering our precision gamut to our valued clients for 17 years, we have made a mark in this competitive field. 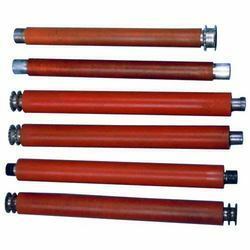 Established in the year 1992, we are counted among the prominent manufacturers of a wide range of PU Rollers. Capable of functioning for long hours, these rollers are designed and developed keeping in mind the variegated demands of customers. Further, we offer customization facility for these rollers to attain maximum client satisfaction. Looking for PolyUrethane Roller manufacturer ?